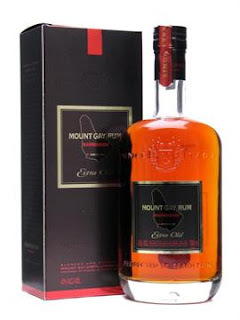 Barbados is, by most accounts, the birthplace of rum as we know it. According to the excellent ...and a Bottle of Rum by Wayne Curtis, rum was likely first distilled on the island around the mid-17th century. While this probably began as an effort to use up the all of the molasses generated from sugar production, it soon became a booming export industry. All of that is to say, Bajan rums have a long history. 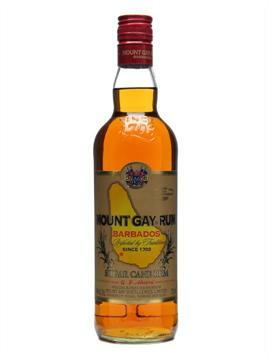 And the most famous rums from the island come from the Mount Gay distillery, the oldest continually operating rum distillery on earth. A deed for the estate from 1703 marks the oldest piece of evidence for the distillery's history, which likely goes back even further. Compared to crisper, white rums, making the ingredients of a daiquiri balance can be a bit trickier with an aged rum. Mt. Gay XO has a healthy dose of oak, which provides body for the drink, but can seem harsh if the proportions of lime and sugar aren't right. When they all come together, this is an incredible drink to sip outside on a summer day, the flavors coming together in perfect harmony. Combine all ingredients, shake with ice and strain into a chilled glass, either up or with crushed ice. While the Mai-Tai was originally made with one rum, J. Wray & Nephew 17-year, we now have to make due with substitutions. One of the best is a combination of a robust, funky Jamaican rum combined with a Martinique rhum agricole. I find that the Sugar Cane Rum provides just enough grassiness and smoothes out the rather assertive nature of the S&C to make a really excellent mai-tai. For those making it at home, be sure to use homemade orgeat. It's vastly superior to commercial products and relatively easy to make.